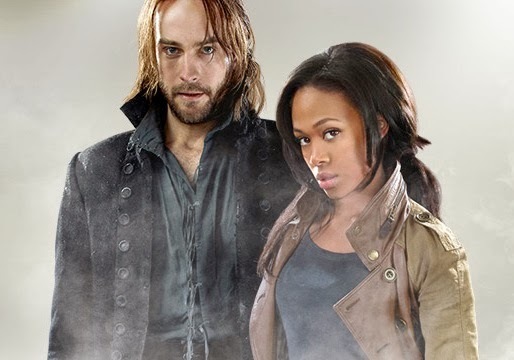 For the week of November 4th to 10th, Sleepy Hollow and Agents of SHIELD both made a return appearance on the GetGlue Top 10 for broadcast network shows. Both shows had previously been in repeats, so they dropped out of the Top 10 , but returned last week at the Number 3 and Number 5 slots respectively. All four of the usual CW shows (Supernatural, Vampire Diaries, Arrow, and The Originals) remained in the Top 10 and Once Upon A Time remained high on the list in the Number 2 slot. Both of NBC’s Friday night shows, Grimm and Dracula, dropped out of the broadcast net Top 10 last week and coincidentally both experienced ratings drops (more on that at this link). In GetGlue’s Cable Top 10, the usual suspects were there with The Walking Dead and American Horror Story topping the list and The Witches of East End and Haven (returning after a one week absence) taking up the rear of the list. And for the Nielsen Twitter Rankings, again only The Walking Dead and American Horror Story made it into the Top 10. So do these numbers impact network decision making when it comes to renewing or cancelling a show? I discuss that in more detail at this link.